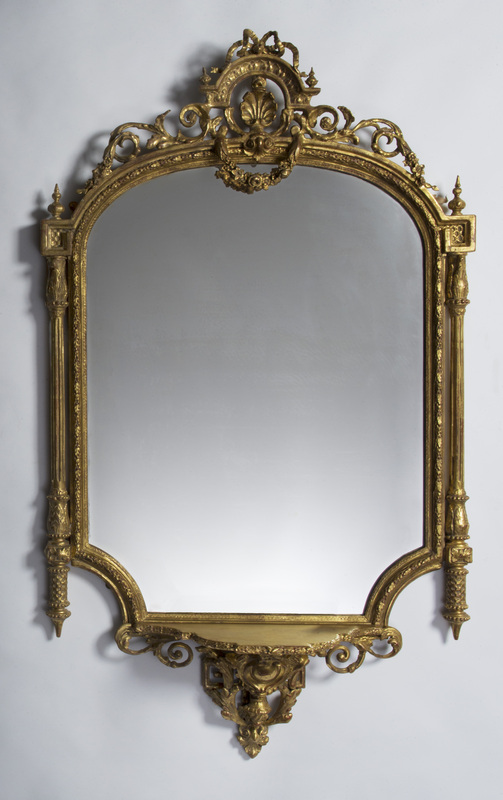 Roccoco style ornate gilt mirror frame. Features an array of ornamental wood carving with a single shelf. The frame is finished in a gold metal leaf, with red, and a heavy rub and tone.